Christine & Josh Wedding Sneak Peek from Michael Ursone on Vimeo. Jessica's Bat Mitzvah Party Highlight Film from Michael Ursone on Vimeo. Danielle & Josh from Michael Ursone on Vimeo. Monica & Michael from Michael Ursone on Vimeo. Kristin & Scott Wedding Film Trailer-Penfield Pavillion- Fairfield, Connecticut from Michael Ursone on Vimeo. 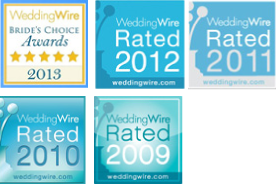 Michael Ursone Films is an award winning boutique film studio specializing in weddings and events. We would love to talk to you about filming your upcoming celebration. We serve the Connecticut, New York, Tri-State area and beyond.